Hello hello everyone! I’m super excited for today’s post because it’s part of a #VirtualEasterParty, hosted by Laura of A Sunshine Mission and Haley of Brewing Happiness. 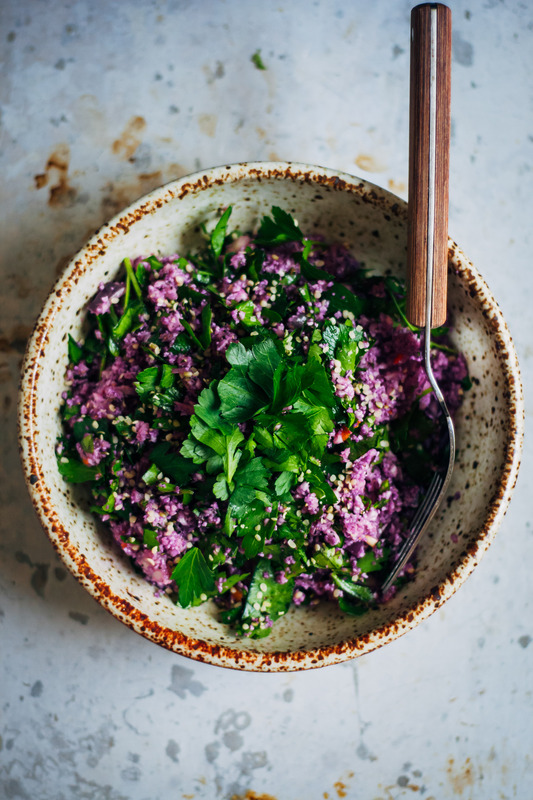 A bunch of us bloggers are sharing healthy recipes that are perfect for Easter, and this Purple Cauliflower Tabbouleh is my offering! It’s the perfect healthy side dish to have at your Easter table, and aesthetically appropriate with its vibrant purple color. As a Catholic, Easter is the most important religious holiday of the year – it celebrates the miracle of Christ’s resurrection after He died for our sins. I personally think this is really cool and honestly a bit mindblowing. Whether or not you believe in the Bible, Jesus was an actual historical figure who was sentenced to death by the Roman prefect, Pontius Pilate. This is almost universally accepted by historians. And in the Catholic faith, we believe in the testimony of those who saw Christ, resurrected, after he had perished on the Cross. It honestly just blows my mind that someone would love all of humanity so completely that He would sacrifice his life, so that all of us could have eternal life in Heaven. Talk about unconditional love. And this is the true message of Easter – having this perfect love in Christ, and celebrating our gratitude for having the chance to be redeemed through Him. The Christian message has gotten so skewed nowadays, especially in the political world. And I know it might be controversial to talk about this, but I really have been feeling a strong calling to defend the name of Christianity, especially Catholicism. No one is trying to say that all Catholics are perfect. In fact, many Catholics have done bad things, and many Christians have said and done horrible things in the name of religion. No one is denying that. But what I think a lot of us Christians have forgotten is Christ’s true message – one of unconditional love, acceptance, and peace. Did Jesus go around talking about how much better He is than everyone else? No!! Jesus hung out with the lepers, the sinners – people who in those days were shunned by society. One of his most devoted followers was Mary Magdelene, a prostitute. Was she perfect? No!! If you look at the chronicles of Christ’s life, you’ll see that He accepted and loved all. He taught that when someone makes a mistake, you should forgive them. He taught that you should love one another as you love yourself. He taught that God’s love for us is eternal – unchanging, unfailing, and without condition. And that’s what Easter is all about. 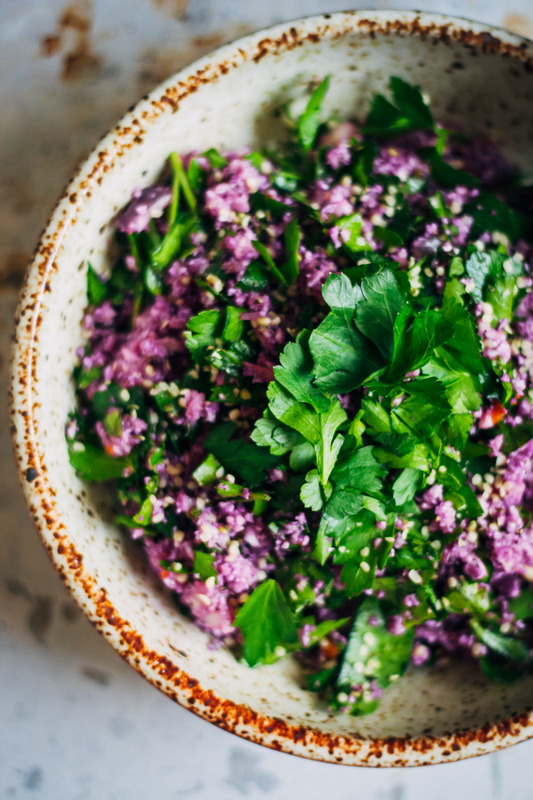 This vibrant, purple cauliflower tabbouleh is delicious and healthy! The perfect side dish for your Easter table. Start by making the cauliflower "rice". Cut the cauliflower into florets, and process in the food processor until a rice is formed. Be careful not to overprocess! 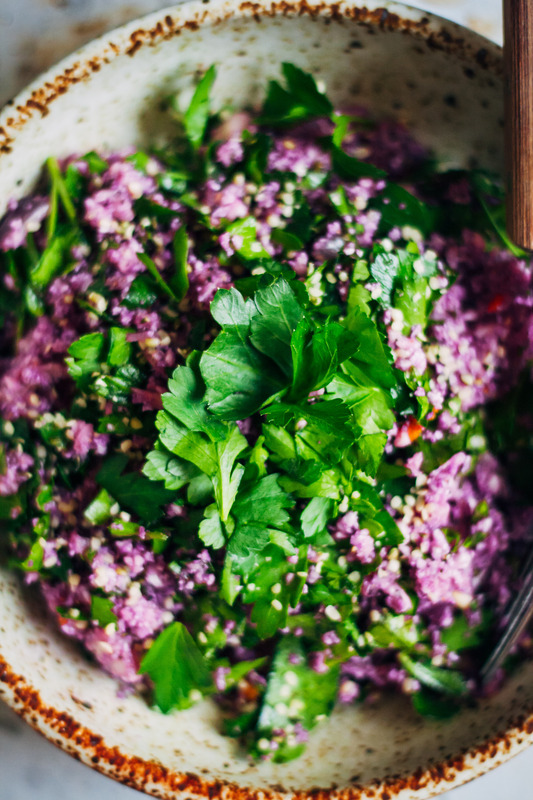 Cut the red onion and mince the parsley, then fold into cauliflower rice. Set aside while you make the vinaigrette. To make the dressing, combine all ingredients in a bowl and whisk until evenly combined. Add into tabbouleh and mix well. 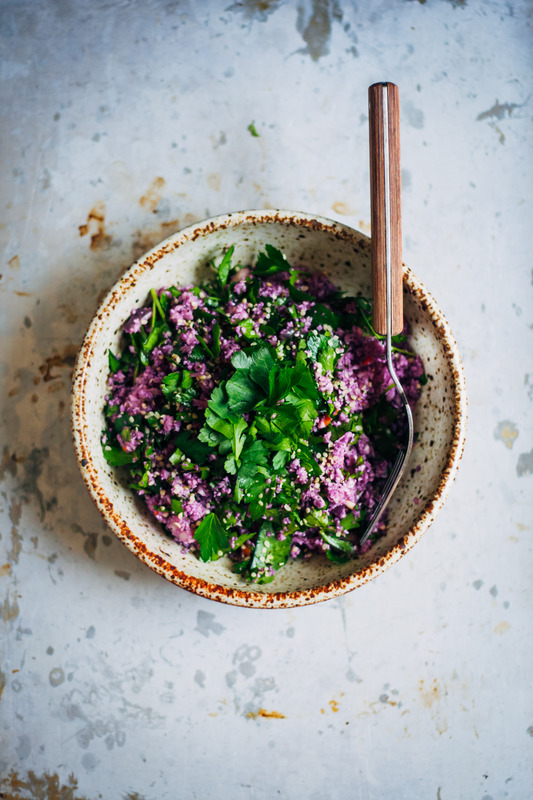 Serve in bowls, garnished with hemp seeds and extra minced parsley. So pretty! Love love love my colored cauliflowers! #VIRTUALEASTERPARTY - COCONUT OAT GRANOLA WITH CHOCOLATE AND ROSEWATER CREAM - She Can't Eat What?! Oh wow i love this! That purple is beautiful and vibrant. Thanks for sharing! 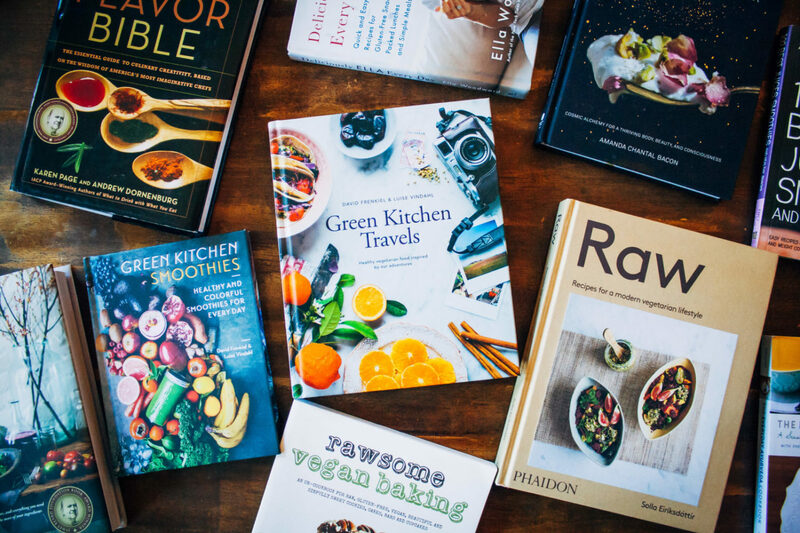 what is more, an amazing photos and recipe! I love the color of this cauliflower and flavours in that dish <3 perfect! Thank you so much Daria!! I’m glad you liked it :) Happy Easter dear! Well said, Sarah! It’s all about spreading peace, love, and acceptance, and I think a lot of people forget this. 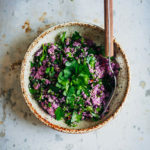 The colour of this purple cauliflower tabbouleh is so gorgeous! Thank you for sharing your heart, Sarah, and this gorgeously beautiful salad. 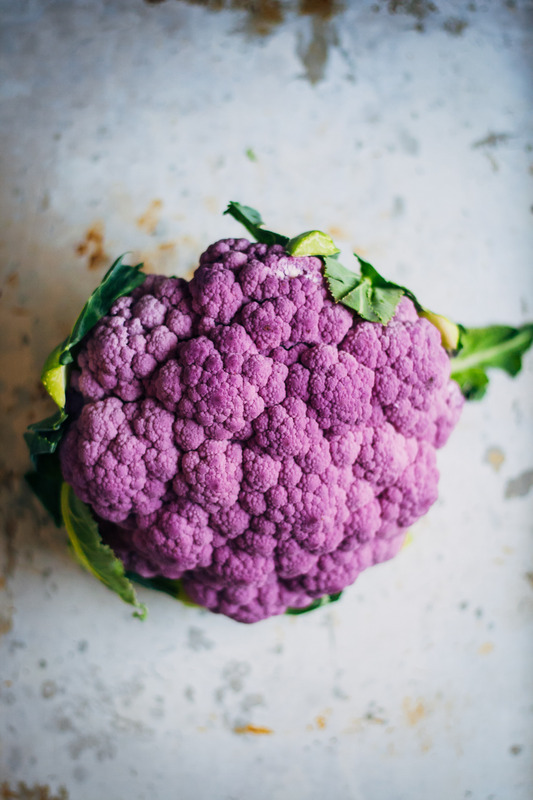 I’ve only seen purple cauli on blogs and hope that someday I’ll be able to enjoy it. The contrasting colors make this such a vibrant recipe. Wishing you a beautiful weekend! This is such a beautiful bowl! I love purple cauliflower! I love your bowl too – can you please let me know where you got it? Thank you so much! YUM!! This looks so pretty!! What a lovely dish! And oh my gosh, I love cauliflower! I just posted about all the benefits! SO good! To me, the saying embodies such a powerful reminder that it is our belief and relationship with Christ which is important. I couldn’t agree with you more. There are bad Catholics. But it’s more than just Catholics. There are bad people everywhere who claim to be Christian and it sullies what’s really important. So thank you. And, thank you for sharing such a fun recipe! It’s beautiful! I love the purple. 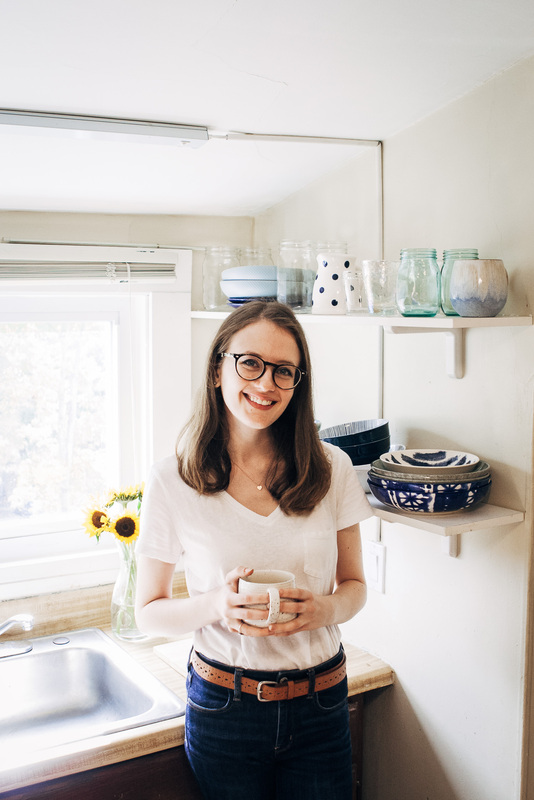 Have you seen Heather Christo’s beet pasta? It’s this crazy bright red color. What a spread your tabbouleh and her pasta would make! Beautiful dish! This looks delicious! Sooooo, I stepped away from the food processor for a wee bit too long. But, it still tasted amazing and I tossed it with a salad;) Thank you for the recipe!